Tile is offered in an overwhelming number of choices: glass, metal, natural stone, stone and wood-look porcelain and non-porcelain tile. Not all tile is suitable for all locations. Suitability is based on each material's inherent durability (wall and floor or wall only), foot traffic wear and tear as well as slip-resistance, wet-area or steam shower suitability. Installed for decades, traditional “ceramic” floor tiles were typically a glazed 12”x12” tile with a cushioned edge. Natural stone, having proven its beauty and durability for centuries, has taken a back seat to porcelain tiles successfully mimicking natural materials. In recent years, porcelain tile has taken over as the tile of choice. In a nutshell, the difference between non-porcelain and porcelain tiles, is that a porcelain tile is much more hard wearing, and is suitable for both indoor and outdoor use. This doesn't mean non-porcelain tile should be eliminated, just that various factors should be considered in making the best and most appropriate selection with consideration to installation location, use, and required maintenance. Some of the most often discussed factors below should help arm you with knowledge for your next tile purchase! In general, natural stone materials may run 10 to 20 percent more than a comparable porcelain tile. However, you can both find affordable porcelain tiles that cost a lot less than many stone products, as well as plenty of high-end porcelain tiles that are costlier than budget-priced stone tiles. In wall-tile installations, porcelain trim (i.e. 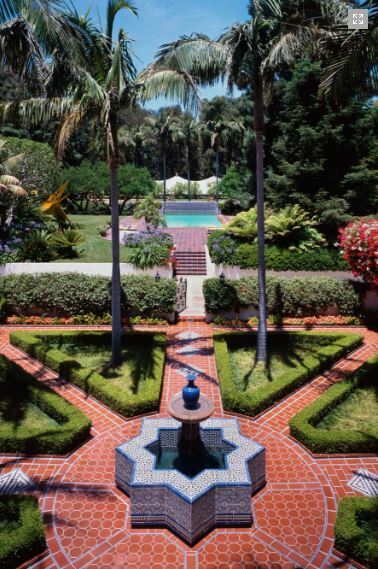 bullnoses or quarter rounds if available) may present a significant portion of the budget as a single piece may cost twice the per-square-foot rate of the field tile. 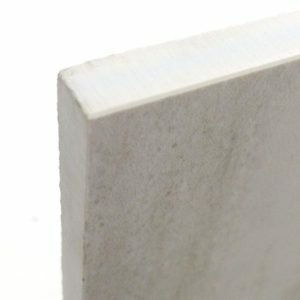 Natural stone edges can be finished or softened by mechanical bullnosing, or finished with various matching natural stone trim profiles such as a dome liner or chair rail molding. Both porcelain and stone are installed using standard tile installation tools and materials. Both can be installed over any recommended substrate, including concrete slabs, cement backerboard, plywood and crack-isolation membranes. And both are adhered with thin-set mortar. Porcelain tile is typically quicker and easier to install, and on average may cost less for both materials and installation than natural stone. Porcelain tile is harder and more durable than stone, and requires less maintenance. Wall tile installations cost more per square foot than floor tile installations. Large format porcelain tiles (any one side measuring greater than 15" is considered large format tile) require more substrate leveling preparation (a flat surface is critical), surface-specific mortars, specialized equipment and more capable installation skills. If using sanded grout, a finished porcelain installation will require grout-sealing, but not sealing of the entire installation as does natural stone. Porcelain tile doesn't present any durability or staining considerations. Natural stone is porous (hence the sealing maintenance requirements) and can still stain if spilled material-especially acidic spills-are left sitting too long even if the material is sealed. Polished stone materials can be etched (become non-polished) by items such as orange juice, toothpaste or hairspray. If you’re considering natural stone tile, one of the first considerations may be whether you are willing to commit to a maintenance schedule, special cleaning and care products. Natural Stone requires sealing every 1-3 years based on location, exposure and traffic patterns. One rule of thumb is that if water is not beading up on the surface (like a good wax finish on a vehicle), the material should be sealed again. Stone in wet locations, such as a shower, should be sealed about once every year depending on use. Stone tiles can be stained by hard-water deposits and soap buildup and require the use of special stone cleaners. Natural stone and grout installations can also be professionally steam-cleaned and resealed. Lack of maintenance is directly responsible for the popularity of porcelain tiles. Today, there is likely a porcelain tile that looks identical to any material (wood, natural stone, concrete) you were considering for your home without the maintenance, worry about staining, etching or special care and cleaning products. So, what exactly, is the difference between "porcelain" and what is often referred to as "ceramic tiles?" “Non-porcelain” tile is generically referred to as “ceramic.” But “porcelain” and “ceramic” are not different kinds of tile. All “fired” tiles are ceramic, including porcelain, with the exception of ”glass.” The more accurate ceramic tile classification is simply whether the tile is “porcelain,” or “non-porcelain.” This is principally imposed by the finished tile’s water absorption ratio. A “porcelain” or “non-porcelain” classification dictates whether the tile is suitable for wall-use only, or may also be used on the floor, outdoors or in a pool lining, and in which climate conditions. Each type of ceramic is composed of different earthen materials which determines the tile’s body color, texture and density. Processing of the porcelain composition involves pressure and extremely high temperature. Also called “stoneware,” porcelain is stronger and more durable than most red/white bodied "non-porcelain" tiles because it is almost completely vitreous-like glass-with a water absorption rate of less than 0.5%. These differences are achieved mainly by its composition. With a very small percentage of red-bodied ceramics being the exception, porcelain is fired at much higher temperatures than ceramic tiles. The high-firing temperature makes porcelain tile denser, less porous (because most of the clay’s moisture has been fired out), much harder (more vitreous) and therefore less prone to stain and water absorption than typical red bodied ceramic tiles. Requiring virtually no maintenance, these properties make tiles classified as “porcelain,” the perfect choice for any installation location or climate condition, indoors or out (with slip-resistance consideration). The Porcelain Enamel Institute (PEI) ratings range from 0 to 5 and reflect the intended use for the tile. Simplified, the higher the number, the more scratch, stain and shatter-resistant the tile is going to be. For example, you would never put wall tile with a PEI rating of 1 on the floor. It will likely scratch and/or crack under use. PEI 3 tile can be used on floors, but only where there is a low amount of foot traffic. Most red-body residential floor tile sold in stores is rated PEI 3 or 4. If you’re going commercial, then a PEI 5 rated tile is the way to go as it is designed for abusive and extra heavy foot traffic. 1 None Recommended for wall use only in residential and commercial applications. 2 Light Recommended for both wall use and bathroom floor applications. 3 Light - Moderate Recommended for countertops, walls, and floors where normal foot traffic is expected. 4 Moderate - Heavy Recommended for all residential applications as well as medium commercial and light institutional. 5 Heavy - Extra Heavy Recommended for all residential as well as heavy commercial and institutional applications. 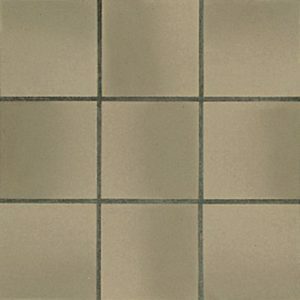 If you live in a zone that gets frost at all, you should not put ceramic tiles outdoors unless they are uniquely rated as a high-firing temperature, freeze-thaw tolerant line (such as “quarry tile”). The body of a ceramic tile can absorb small amounts of water during the day, then at night when the temperature drops below 32 degrees F, the water inside the tile can freeze and expand, crack the tile and/or pop the tile off the mortar bed. A porcelain tile or specifically rated ceramic should be selected for these climate conditions because the tile body will not absorb water and is not at risk to expansion. 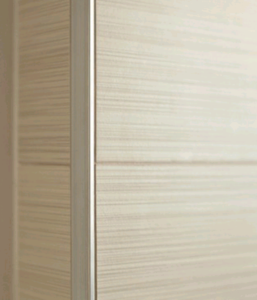 When a tile clay body is kiln-fired, extreme heat extracts moisture from the tile resulting in a shrinkage of 7-10%. As conditions change in the factory (humidity, heat), and with slight internal kiln temperature fluctuation, the tiles will shrink at different percentages and could be slightly different sizes. Rectified tile is tile that has been mechanically finished on all sides to achieve precise size uniformity. After firing, an extra step is taken to grind the tile sides to precise and consistent dimensions. Rectified tiles may also have a very fine top-edge bevel (or “chamfered edge”), to help reduce the chance of chipping along their sharp edges. The beauty of rectified tile is that the uniform size allows for tile to be installed with narrow grout joints which create a more seamless, sleek and “modern” look. The Tile Council of North America (TCNA) recommends grout joints of 1/8” minimum for rectified tile. 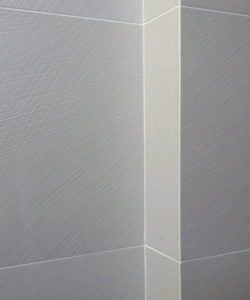 Non-rectified tiles vary slightly in size from each production run (lot or batch). These pieces may have a visible “pillowed-edge” on the top surface. There is no extra mechanical machining step to ensure precision amongst size as there is for rectified tile. There may be slight size/shape variations from tile to tile. Due to the size variations, wider grout joints are needed to allow for this variation and to align the tile during installation. A rectified, micro-beveled tile (left). A non-rectified, pillowed-edge (right). Outside corner trimmed with a "Schluter"-type strip (left). Outside corner created by back-mitering (right). Using a tile with a rectified edge can highlight “lipping” due to the tight grout joints typically employed. Lipping occurs where adjacent tiles are slightly higher or lower than the abutting tile or abutting offset joint, causing a shadow line and giving the tile the appearance of unevenness or not being flush with one another. This factor is called 'lippage'. With wider grout joints as employed with unrectified / soft-edged tiles, the amount of lippage would be barely noticeable, and could be easily masked with a gradual slant. Grout joints be a minimum of 1/8" wide for rectified tiles and, on average, a minimum of 3/16" wide for calibrated (non-rectified) tiles. The grout joint width should be increased over the minimum requirement by the amount of edge warpage on the longest edge of the actual tiles being installed. For example, for a rectified tile exhibiting 1/32" edge warpage on the longest edge, the minimum grout joint for a running bond/brick joint pattern will be 1/8" + 1/32" or 5/32", on average. Of necessity, in any installation, some grout joints will be less and some more than the average minimum dimension to accommodate the specific tiles being installed. The Coefficient of Friction (COF) of a tile is a measure of its “slip resistance.” For example, the dry cement patio around a public pool is very slip resistant (so it would get a high rating) and the ice on hockey rink is VERY slippery (so it would get a low rating). For tiles, it is important because ratings above a certain number comply with the Americans with Disabilities Act (ADA) and can be used in commercial areas or public areas. SCOF: This is the force required to START something moving. If you are standing still, this is the force between your shoe and the floor to get you from stopped to moving. If you apply a LOT of force, you slip. This test shows the amount of force needed JUST BEFORE you slip. To pass ADA the test must be done on a WET tile and the result rating must be greater than 0.6. DCOF: This is the force required when something is in motion. If you are walking, the more pressure you apply, the faster you will go. This test shows the amount of force needed just before you slip WHILE you are already in motion. To pass ADA the test must be done on WET tile and the result rating must be greater than 0.42. As this is a rating system used only in the USA, many factories throughout the world do not test their tiles for COF. Tiles with COF ratings are harder to identify since COF certifications (or lack of) are not generally displayed with the tile. COF information is also not always immediately accessible to tile showroom salespersons without some research. No tile is “slip-proof.” Proper maintenance is critical. Improper maintenance and maintenance products can result in a build-up on the surface of the tile causing the tile to be slippery. Most of the largest tile manufacturers (such as Marazzi, American Olean and Crossville) offer several lines with COF certifications along with a host of matching trims such as a “cove base,” that may be required for the intended commercial application. 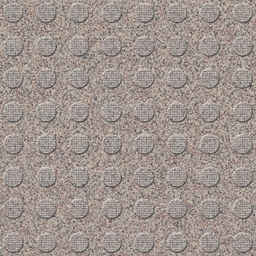 Crossville even offers several customized surface textures (Crossdot, Cross-Grip, and Cross-Tread) which help meet specific industrial application needs such as food services. Along with appropriate footwear, prompt removal of contaminants, effective drainage, and proper maintenance, in floor applications with consistent surface presence of water, oil, or grease, ceramic and porcelain tiles (unless quarry tile) should not be used unless the tile is “treaded,” or has a special surface treatment. Above: Crossville's Cross-Grip Porcelain Stone series textures developed to meet the slip-resistance requirement needs of specialized commercial applications. 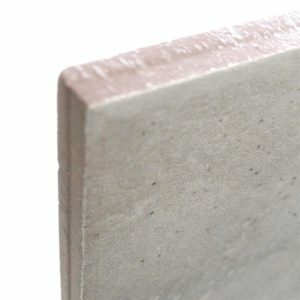 Developed at the request of the National Restaurant Association's risk managers to drastically reduce "slips and falls" in restaurants' kitchen areas, CROSS-GRIP porcelain stone tile features a raised-point textured surface that outperforms other abrasive tiles because its texture is an integral part of the porcelain tile itself. In other slip-resistant tiles, the surface can wear down over time, becoming smooth, or the carborundum can become detached, leaving a "pit" in the tile's surface. 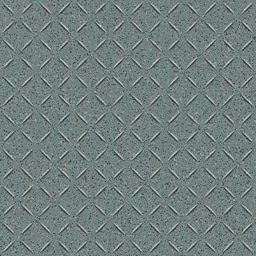 In use for decades, American Olean’s quarry tile offers additional surface options such as “abrasive” and “double abrasive.” Suitable for pool deck use, quarry tile is generally found in three earthy colorways: tan, red, brown and “flashed” variations of each (American Olean) and in a vast array of decorative shapes and sizes within Arto Brick’s unglazed “Monrovia Tile” series. 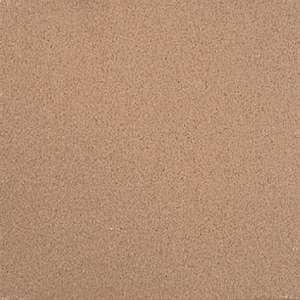 Above: American Olean'"Quarry Naturals" in standard color, flashed color, and abrasive finish. Below: Arto Brick's unglazed "Monrovia Tile" series - suitable for freeze/thaw conditions. Decoration is the process of applying an inked image to the tile (for example -Travertine image, Marble image, Wood image, etc.). The most common image application technique today is digital printing, with high-definition inkjet being the most realistic due to better resolution print quality. An analogy would be the advance in image definition offered by the evolution of high-resolution televisions. When evaluating a tile image, it is most helpful if you can view several pieces (or one of the manufacturer’s installation photos) to assess the variation (or repetition) that could be expected across a finished installation. How many different screens are used to create the most random variation from tile to tile (more screens = greater variation)? Whether a “wood look” or “stone look,” do identifiable image features such as knots, cracks, fissures, inclusions etc. visibly repeat making it a faux giveaway? Is the image blurry, or are the inkjet dots creating the image visible (sharper images were crafted by a higher-resolution digital process)? 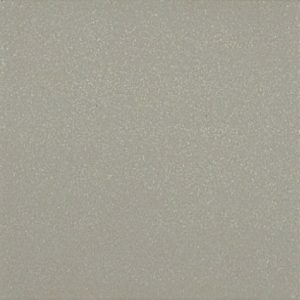 Does the “surface sheen” of the tile (satin or mottled satin appearance) enhance or hinder the image realism when observed in various lighting conditions throughout the day? Some tiles have very convincing images which are unfortunately counteracted by their surface sheen which can give them a “plastic” appearance. This is primarily a problem on perfectly flat surfaces. 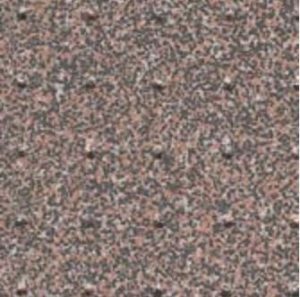 Additional surface texturing (such as an almost sandy finish in a sandstone look or a clefted surface in a slate look tile) can also be huge contributing factors to the most realistic looking installation.